" Afsheen Ather has done a fabulous job in creating her newest line of skincare products." "Hats off to this organization. Professionalism at its finest! I highly recommend!" "Since I've been going to Nova Derm Institute I've been having great results." "Afsheen gives the best facials! I love my visits with her!" "Afsheen is always very professional and very gentle." "Had an amazing experience at NOVA Derm Institute. Afsheen Ather is very knowledegable." Afsheen Ather, MBBS, is an aesthetics expert with more than 10 years of experience in dermatology and anti-aging medicine. She practices at Nova Derm Institute in Leesburg, Virginia, with her husband Ather Anis, MD. Dr. Ather provides detail-oriented, non-invasive aesthetic procedures to help you achieve a look you’ll love – whether you have traditional dermatologic concerns or simply want to look your best. Dr. Ather began her education abroad, earning her Bachelor of Medicine, Bachelor of Surgery. She then obtained a license to teach master aestheticians and worked as an educator for the next 10 years. During this time, she also worked as a medical spa director, wrote a book on aesthetics, and reviewed textbook curriculum for Milady Standard Esthetics. 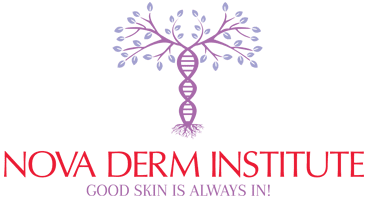 With a desire to connect with patients near her home in Leesburg, Virginia, Dr. Ather started Nova Derm Institute. She holds a certificate in anti-aging from the University of South Florida in Tampa. She’s also a member of the American Society for Laser Medicine and Surgery (ASLMS) and The Aesthetic Practice Association (TAPA). Dr. Ather is accepting new patients. Good Skin is Always In! 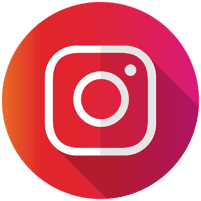 Follow us on Instagram and FB to enter out monthly raffle winners toward services and skin care products. Our Institute Offers a Perfect Amalgam of Traditional Aesthetic Treatments as Well as Medical Grade Skin Rejuvenation With State of The Art Equipment and Personalized Services. Get Glowing, With Little To No Time With Red Carpet Ready! "Lots of experience! Super nice as well!" "Thank you for always exceeding expectations when it comes to your services...I'm forever grateful!!!" "Really loved my consult & microblading seshion with Afsheen today. She is very professional, deliberate and cautious." "Afsheen is phenomenal!! I had a few micro peels done from her and I felt very comfortable in her care. She is very knowledgeable and makes her your priority." "I highly recommend this business. Dr. Afsheen knows what is best for my skin and her services are excellent!" " can't complain. So far every session (5 so far) has been quick and simple, in and out in 5-10 minutes. I have 1 more session to go and I'm nearly hairless (armpit)."